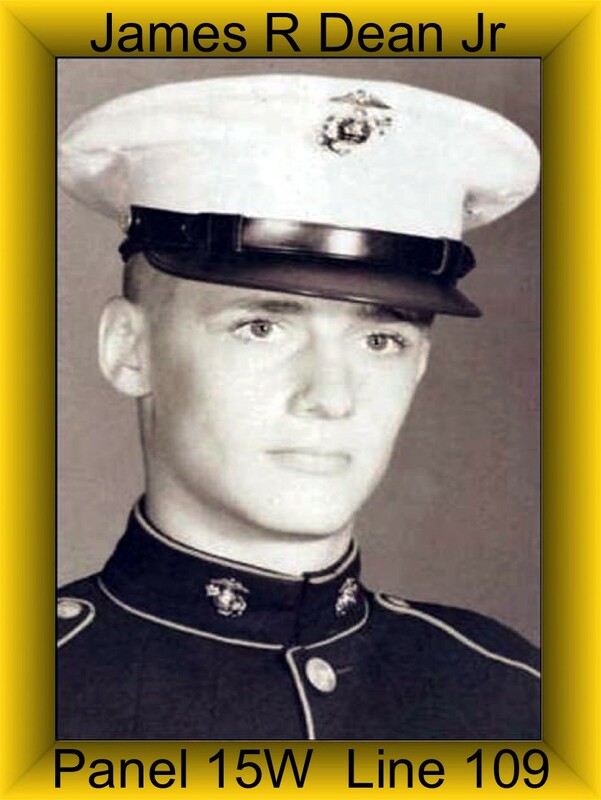 James was assigned to Charlie Troop on July 28, 1968 and was Killed in Action on December 30, 1969. James was a Door Gunner on an OH-6A Light Observation helicopter. James was awarded the Purple Heart, Air Medal, National Defense Service Medal, Vietnam Campaign Medal, Vietnam Service Medal and a set of Crew Member Wings. I am the younger brother of James (we called him Rocky) and was a freshman in college when he was killed in action in Vietnam on December 30, 1969. Rocky was the oldest of 3 children of my parents James Robert Dean, Sr. and Mary Lou Dean. Sandy was our sister and I was the youngest. Rocky was sort of a “loner” in his high school years in that he was not involved in sports or any school activities. He had friends but they were not the “popular” students but more rebel-like in that they kind of did their own thing. Rocky had great work ethic and worked part time at a grocery store in Orlando during his high school years so he could buy a used car. If I recall correctly, it was a 1956 Ford with a big engine and it was very fast and powerful. In fact, he liked to drag race other friends and this was naturally a fearful thing to our mom. After high school, he moved away from home living to with friends and we did not see him a lot. I would say that we were close even though we did not spend much time together. But I knew he loved me and was there to support me if and when I needed it. He was very generous and offered to give me spending money if I ever needed it. To our surprise, he decided to enlist in the Army well-knowing that he would serve in Vietnam. But he seemed to want to do this because he had other friends that were also serving. I think that perhaps the main motivation for him to enlist was the “rebel” in him who wanted to get away from a life that was not bringing him the satisfaction that he longed for. The family was nervous about his deployment and we just prayed that he would serve out his tour of duty and return home to us. I happened to be home for Christmas break during my freshman year at the University of Alabama when we received a knock on our door at 6 am in the morning. We knew it was not good when we noticed that there 3 Army officers at the door. The news of my brother’s death was devastating to all of the family but my mother took it the hardest. She struggled with this for the rest of her life (she passes away 6 years ago). I will always remember Rocky as a kind and thoughtful person who was very loyal to his friends and family. I hope that he had the support and encouragement from his fellow soldiers during his tour of duty in Vietnam.